Top O’ The Morning Brunch There is no better place to be during the St. Patrick’s Day festivities than downtown Lexington! 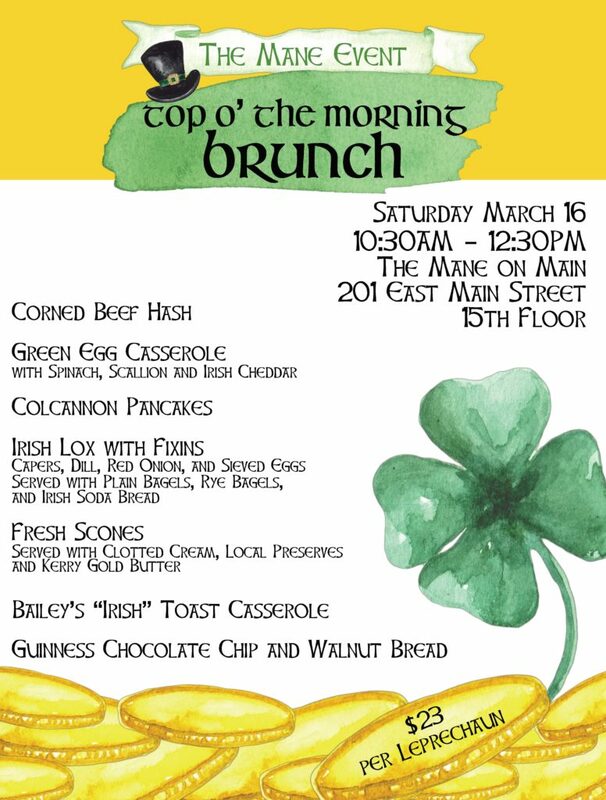 Whether you are running in the Shamrock Shuffle or headed to the parade, come and join us at The Mane for our Top O’ The Morning Brunch! The Mane is located on the 15th floor of the Chase Bank building, so you will have a great view overlooking the city. Parking is included at the attached Chase Bank building garage, provided there are spots available. We will have a traditional Irish buffet with a few twists of our own! The bar will be open – we will have some speciality cocktails and of course green beer! Grab your green accessories and come as festive as you wish! Grab Your Tickets! 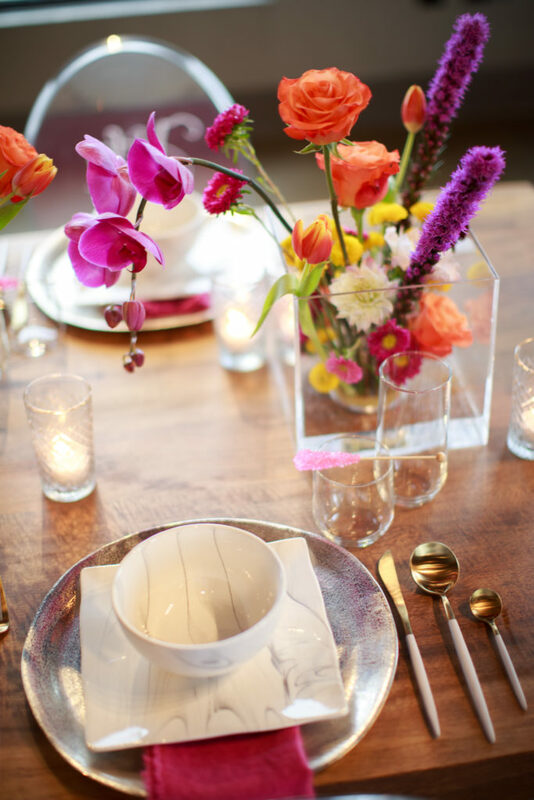 Welcome to a chronicle of the creative Dupree Catering + Events! Here you will find ideas and inspiration, unique menus and recipes, event highlights, tips, and more.